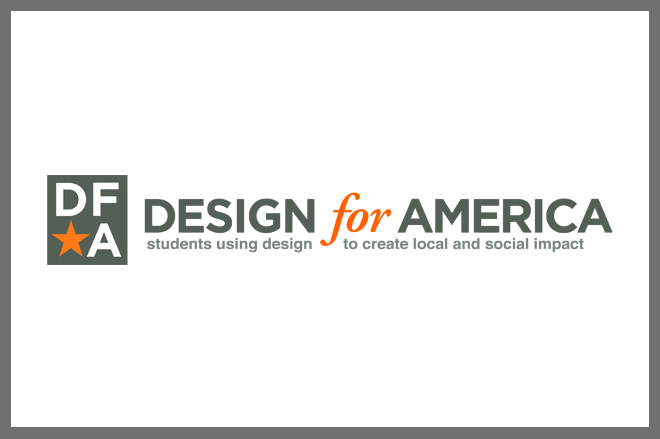 Design for America (DFA) is an award-winning nationwide network of student-led studios using design to create local and social impact. DFA teaches human centered design to interdisciplinary college teams who work with local community partners, faculty and design experts to develop and implement innovative solutions based on insights into human needs, rapid prototyping, and user-testing. DFA teams work outside the curricular structure to apply what they learn in class to real-world problems, allowing students to self-select their projects and continue their work beyond a single term. Please visit us at Design for America.